I once had this powerful, provocative dream. I felt compelled to share this with many in my community. They all agreed that perhaps if we were truly moved upon by the Holy Spirit, we would be moved out on His mission. According to scripture, He is the sending agent! Disclaimer: This isn’t a story or discussion about being “slain in the Spirit” at all, but a dream that is representative of God’s persistent call on my life to move with AND beyond the confines of faith communities and the buildings in which we gather. Imagine this for a moment. You’ve been praying for an elderly relative of a co-worker battling with cancer whom you’ve never seen. Suddenly you recognize her as though you’ve seen her in a picture. She’s sitting up a few pews in front of you. Everyone is praying. These images keep happening. Local ministers have come periodically to announce new needs but the people are steadily rotating. There’s someone whose soul you’ve been praying over for years, then another and another. Suddenly it hits; you are all in a prayer meeting that never ends! You’ve heard about the Moravians; but this is it come to life, in your own hometown. The place isn’t flooded with people but rather the presence of God. People in smallish groups come and go. Suddenly you are praying so intently that from a seated position you feel as though you are floating. You are totally conscious but, Boom! You hit the floor and a great light is opening up to you. You feel like maybe this is what Jacob and Paul must’ve experienced. You realize you’ve been asleep and the thud wakes you up even though you haven’t moved. The lights and images leave. Your eyes are now closed. Still the voice, not audible but somehow not totally internal, continues. As you hear commands from God to carry out His Great Commission, you have fallen back asleep. Then your spouse wakes you up in the midst of your crying and praying. Prayer is simultaneously the most important activity we can be involved in and the impetus for more activity. This is all the more true of intercessory prayer. But what if Intercession isn’t prayer alone? 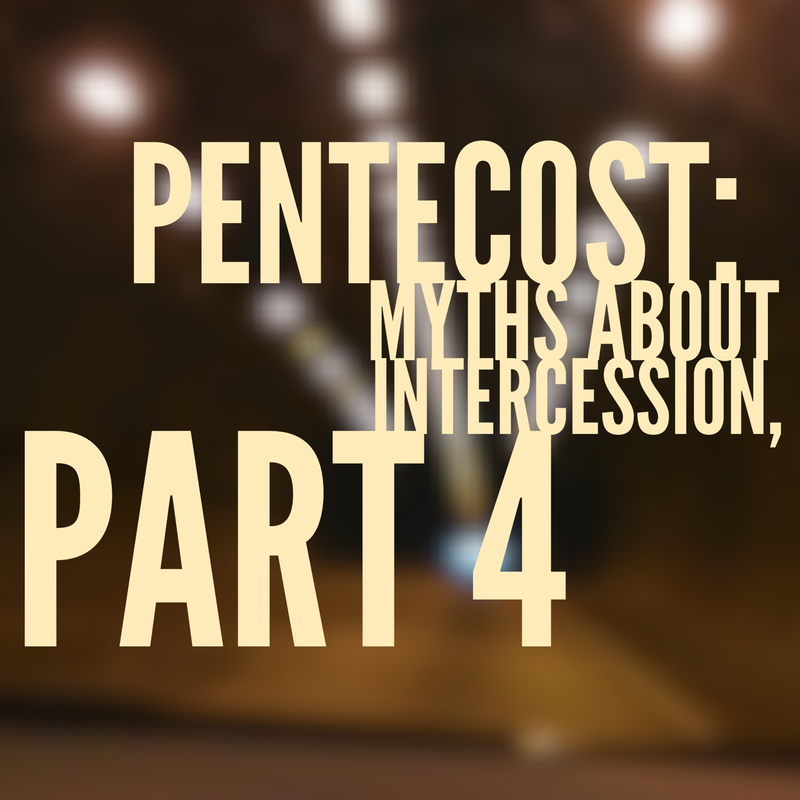 The third myth is that Intercession is only prayer. In fact, it is a type of prayer which is why we have the term intercessory prayer. But this is too small a vision of what biblical Intercession is really all about. Intercession is not prayer alone! There can be a tendency to be content praying for the lost without ever reaching out to them. Sometimes we think if we’ve wailed, snotted, crawled, and bawled to the Lord loud and hard enough that God is as content with that as we are. This is how Jesus lived. He prayed often but he followed in obedience with his whole life all of the time! He was and is the advocate. James is pretty blunt about this in James 2:14-20. We might not often think of this passage as relevant to intercession but it’s because of our fallacy in thinking intercession is prayer alone. This is similar to the way we so often misunderstand and misrepresent Worship as music and singing, when really it’s a lifestyle. Prayer is a lifestyle. Intercession is a lifestyle, one that grows as we do in Christ, looking more and more like Him. This is not according to our own standard and measure though. Don’t get me wrong! We need more intercessory prayer! We need more prayer. There are actually false teachers out there who would say we don’t need to depend on God through pray when it’s actually the MOST important thing in our life. Pray for, before, in, and through all things, always, at all times! Don’t shy away from calling that false teaching because it’s contrary, that is against (anti-) Christ. Jesus teaches differently. He stops and teaches by example how to pray (The Lord’s Prayer). He even used parables to teach about prayer (Luke 18). He never said to rely on yourself or on your title/position. He required you give all that up like He did. We have to stop splitting our lives into Sunday and the week, from pray and worship to work and family. Here’s an half hour topical sermon by Robert Morris (Gateway church), built on a word study of the word Intercession throughout scripture. He gives some practical helps and stories. He also touches on Trinitarian Intercession. Can you envision Jesus at the right hand of the Father? He’s not just whispering is He? For God to see Jesus and His righteousness when he looks at us, surely Jesus is doing some gesturing. I can see Him displaying his scars to the Father. I can hear Him crying out the way He did here on earth. We must be lifting up Jesus this way. He must be crying through us to the Father. The Spirit must be working through us, recreating, restoring! Faith in action is where long haul people remain. It is the path we must walk in. Help us to walk in truth, Heavenly Father, by the mighty power of your spirit in Jesus’ name, amen. 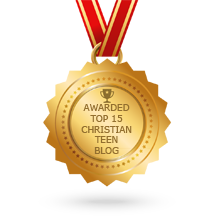 This entry was posted in A CLICK A BLESSING TODAY, CHRISTIAN LIFE AND THE WORD, CHRISTIAN TAGALOG BLOGS, CHRISTIAN TEENS BLOGS and tagged intercession, part 4, pentecost myths. Bookmark the permalink.